Gretna is a popular West Bank suburb located directly across the Mississippi River from uptown New Orleans. With a population of 17,736 at the 2010 Census, it is the second largest city and parish seat of Jefferson Parish. Established in the early 1800s, Gretna is widely known as a historic community. 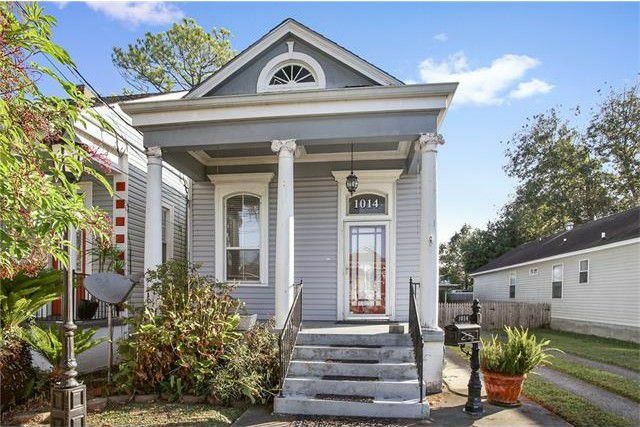 Full of small town charm, much of Gretna’s architecture bears a close resemblance to the French and Spanish influences found in many historic New Orleans homes. The section of the city closest to the river, known as Old Gretna, is full of old-world character with its colorful bungalows, quaint coffee shops, and vibrant restaurants. With the opening of the Greater New Orleans Mississippi River Bridge in 1958, Gretna began to expand further south, away from the river. New subdivisions were developed to accommodate this expansion, including Bellevue, Garden Park, and Timberlane. Gretna real estate options cover the entire spectrum, from quaint historic homes to modern mansions. Living in Gretna offers the convenience of a large city with a small-town lifestyle. Gretna is a lively community with many attractions and events held year-round. The Gretna Heritage Festival is arguably the most anticipated event of the year, while the Gretna Farmer’s Market and Gretna Art Walk are local hits for residents and visitors alike. Learn more about Gretna at the city's official website.